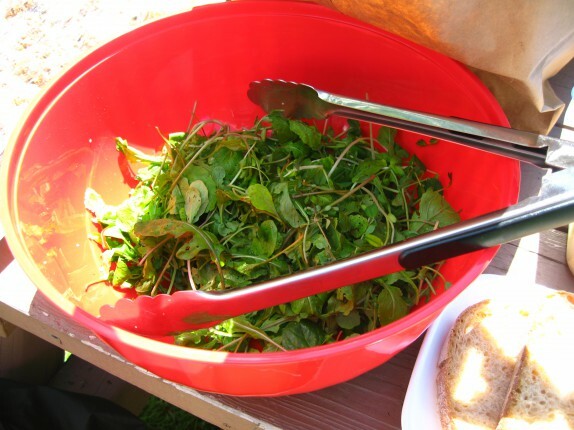 One day, I was minding my own business, and I received an invitation to a picnic-style potluck lunch organized by Albany Jane, Albany area food enthusiast who runs a little site called Albany Eats! in which she documents her food escapades all over the place, much like I do, only different. With this invitation, I felt like I had somehow crossed into a secret Illuminati. …and I didn’t know what to bring. 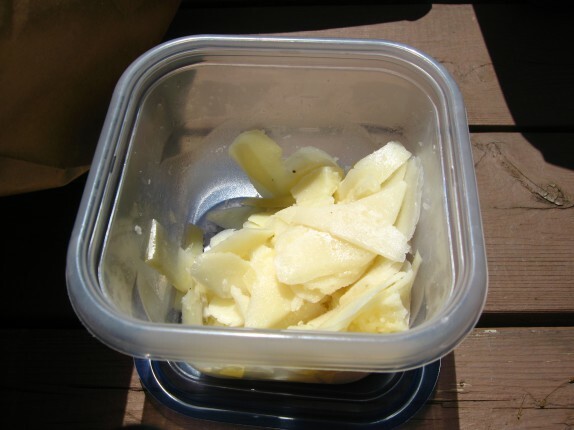 I wanted to bring something fresh and unique, but my experience with making picnic style foods is limited to cold Italian pasta salad-like things. The first ideas were something like a tortellini salad, but I thought that was too lazy and easy to cop out on. So I took to my cabinets. I came across a sampler box of olive oils that my parents bought for me from The Olive Press in Sonoma, CA, and the creative gears started spinning. That was the center of my concept. Now to figure out what to do with it. Last week, I took a walk around the Troy Riverfront Farmers Market and looked for some inspirado. I noticed there were a few vegetable stands selling fresh arugala. “I haven’t had arugala in six weeks!” [name the movie!] I also noticed a bunch of places selling fresh breads, so I think I had something. To complete the concept, I went cheese tasting at Price Chopper in Latham. The nice lady behind the counter let me try a couple of things she had out. I settled on a Spanish sheeps’ milk cheese called Castellano. What did I do with everything? I tossed some Arugala and pea shoots that I bought at the farmers market with salt, pepper, and a very light amount of lemon juice. I sliced a loaf of Fire Bread that I purchased from the Mrs. London’s stand at the Farmers Market into 1 centimeter slices. I used a vegetable peeler to get some nice thin flecks of the cheese. I put the olive oils out for sampling. 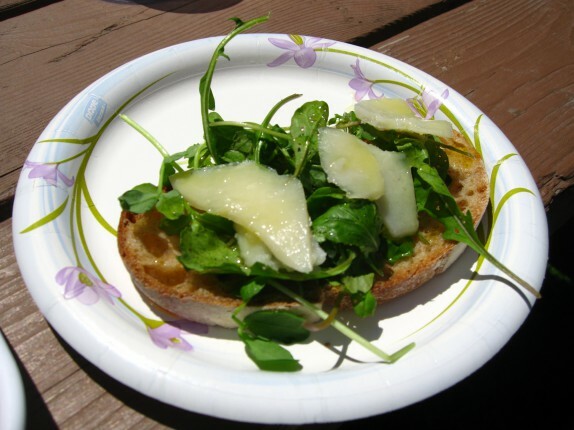 The idea was that the bread would be there to soak the oil which had been in contact with the sweet and salty cheese (which tasted similar to a pecorino, as you’d expect, but was quite a bit softer and sweeter), the peppery arugala and sweet pea shoots, and the light lemon juice and salt that dressed the greens. Everything was supposed to play off of each other. It was pretty simple, but also had a complexity that I am pretty proud of. People appreciated the idea and had a good time with it. Everyone seemed to like the oils. There was honestly so much food there that it was difficult for me to focus on individually tasting the oils, so I’m sure everyone else was overwhelmed as well. 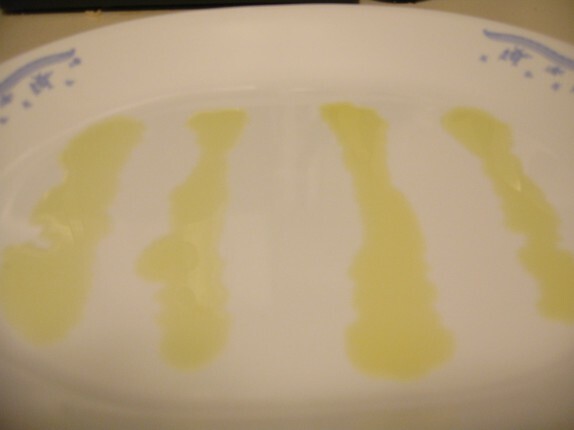 When I got home, I drizzled each onto a white plate side-by-side to perform some sort of comparative appearance test, just like we do in the chemistry lab. Mission: DELICATE INTENSITY Mission is our very own California variety, dating back to El Camino Real. Bold, bright, even a little brassy our Mission brings together fresh green flavors and a rich buttery base. Perfect as a butter substitute – drizzle on broiled fish, vegetables, grilled meats, and garlic bread. Free Fatty Acid – 0.40%. Arbequina: MEDIUM INTENSITY Arbequina olives are prized in the Catalonia region of Spain. 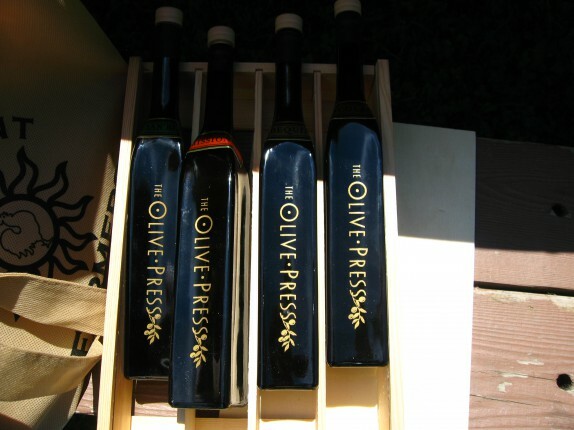 Now widely grown in California, this olive produces an oil that is fresh and fruity with a peppery kick. Our Arbequina oil is the perfect oil to keep close at hand whenever you are in the kitchen. Ideal drizzled on fish, pasta, sauteed vegetables and salads. Free Fatty Acid – 0.30%. Ascolano: DELICATE INTENSITY Ascolano variety is prized for its rich fruit flavors. Undertones of peaches, apricot and tropical fruit combine with a peppery finish in this exotic oil. A food-friendly favorite! Free Fatty Acid – 0.20%. I tasted each of these individually at home. The extent of my ability to classify these ends at the intensity. I don’t get a lot of the undertones and such, but I also don’t exactly go around tasting olive oils every day. I will say that the colors are certainly deceiving. The most robust in flavor seemed the most visibly colorless, which is contrary to my intuition. Regardless, the dish was a success at the picnic and the oils are certainly a perfect example of some of the great products we can get here in the US. Imported oils are great, and I’m sure there are hundreds that could dwarf the quality of these oils, but we have some great domestic products here; it’s just a matter of finding them. Thanks for coming out! You brought an awesome dish that combines all of my favorite things – bread, veggies, cheese, and oil to bathe them all in. It was great trying so many different kinds! Very cool. I wish I could have been there to try it! It was so yummy!! 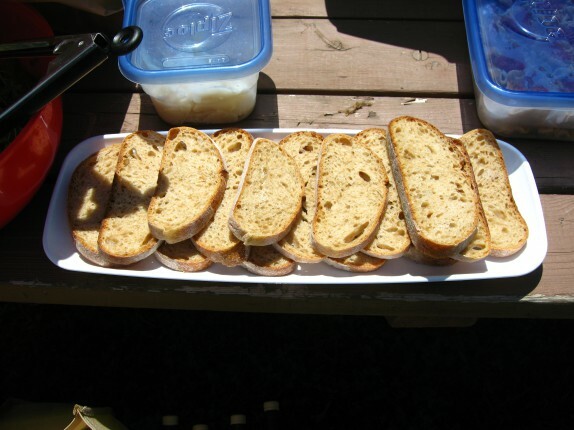 And it was the perfect picnic food, even though it’s not your average picnic food. It raised the bar, I think. I must go for robust. I thought the Italian one was delicious. The cheese was very nice too. Very tasty dish. Thanks for sharing it. No problem buddy. Nice meeting you. The dish you brought (im not saying it because I don’t want to hear the jokes) was excellent!